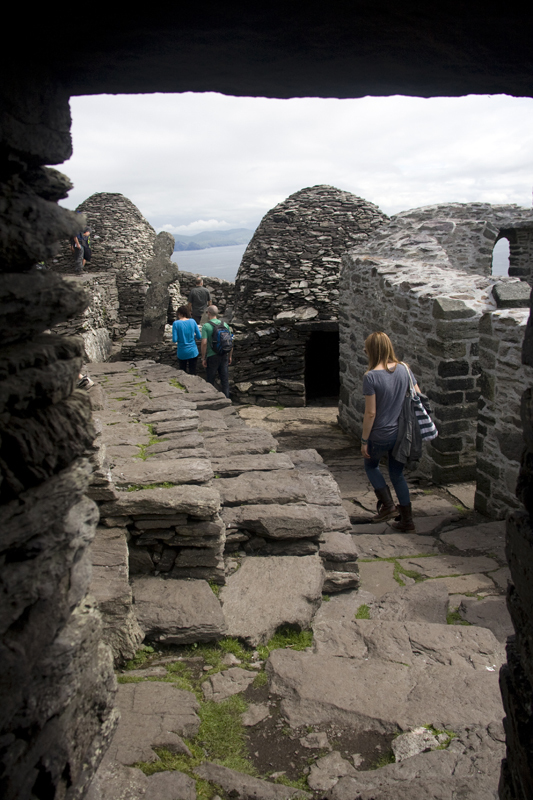 Between the 6th-8th centuries, this Christian Monastery was founded, but was later moved to the mainland in the 13th century due to the change in weather. 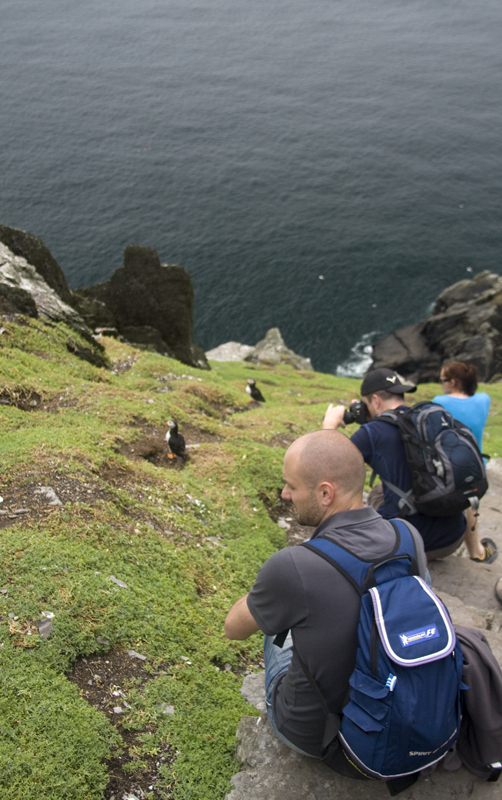 Seeing and experiencing the remoteness of this island was a very humbling experience. 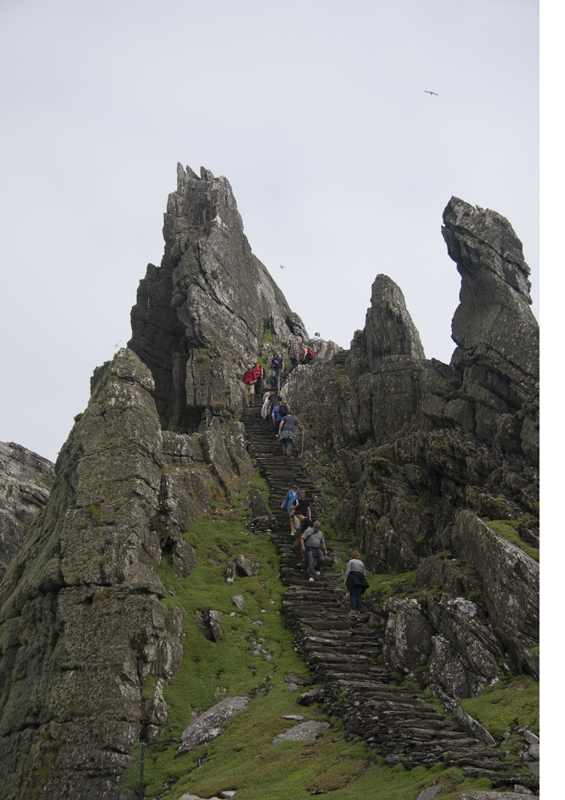 It is inspiring imagining the daily life that these monks lived for hundreds of years and their capability to adapt to difficult environments. 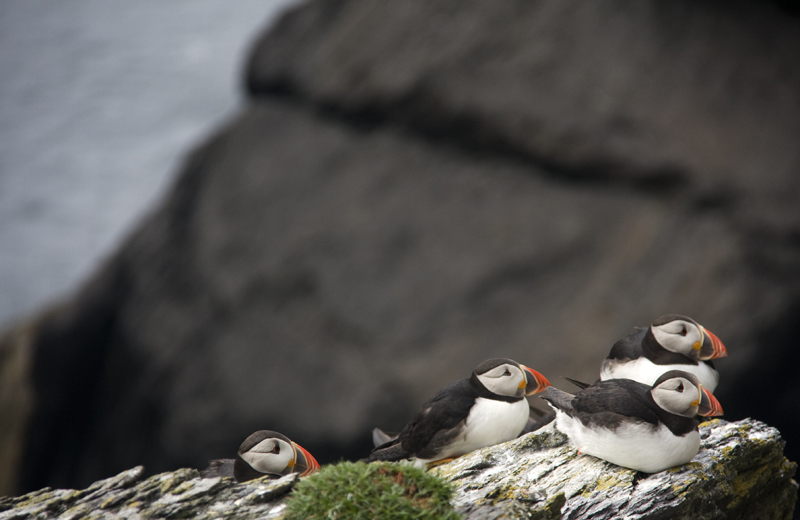 All too often I find myself too caught up in staying connected, but there is much to be said about the beauty of simplicity. 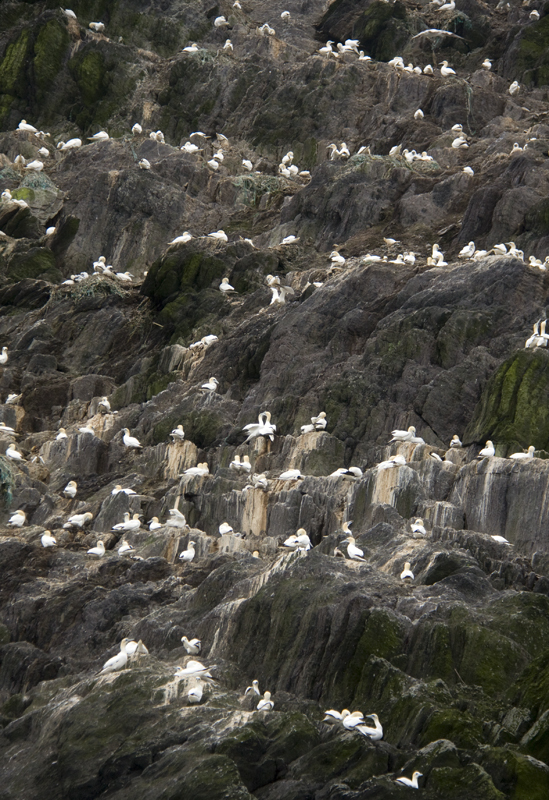 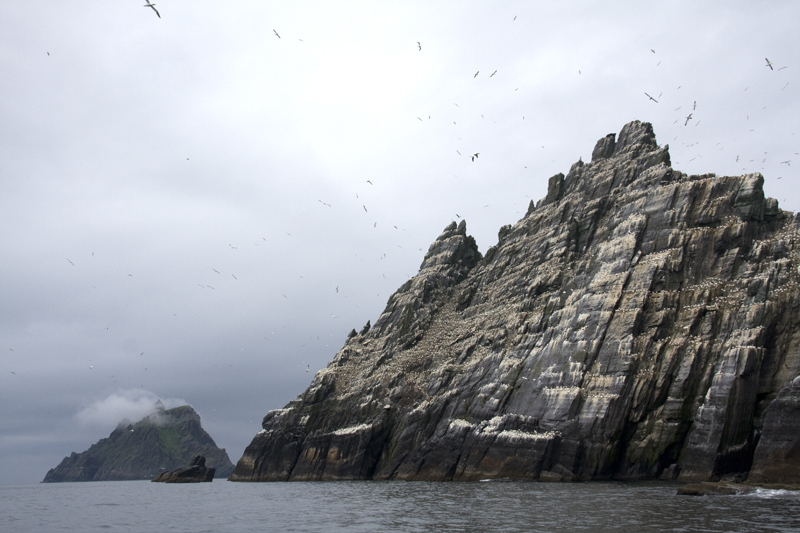 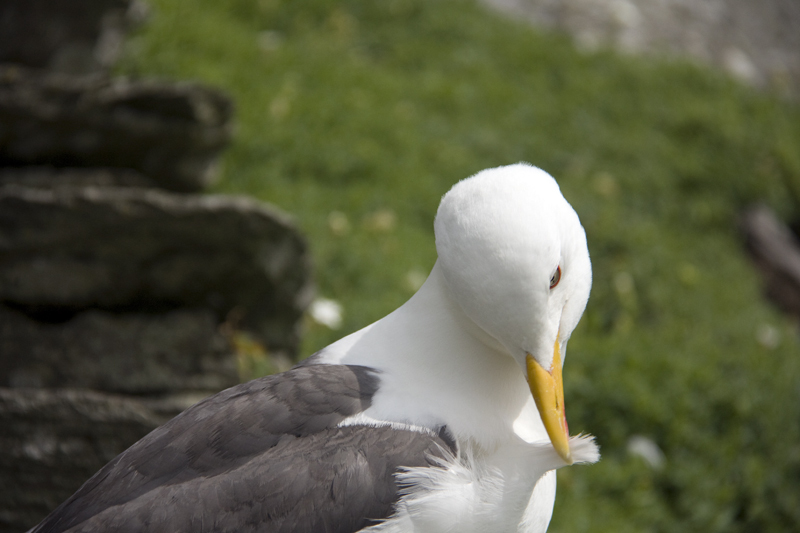 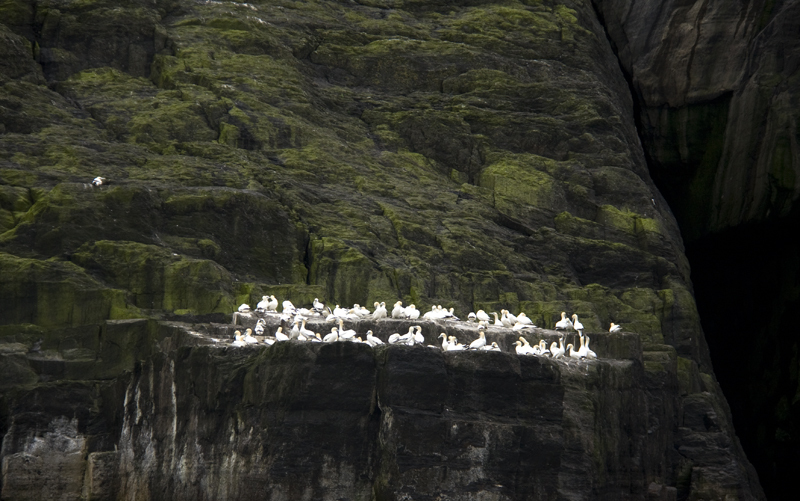 Small Skellig bird sanctuary, home to over 100,000 Gannets. 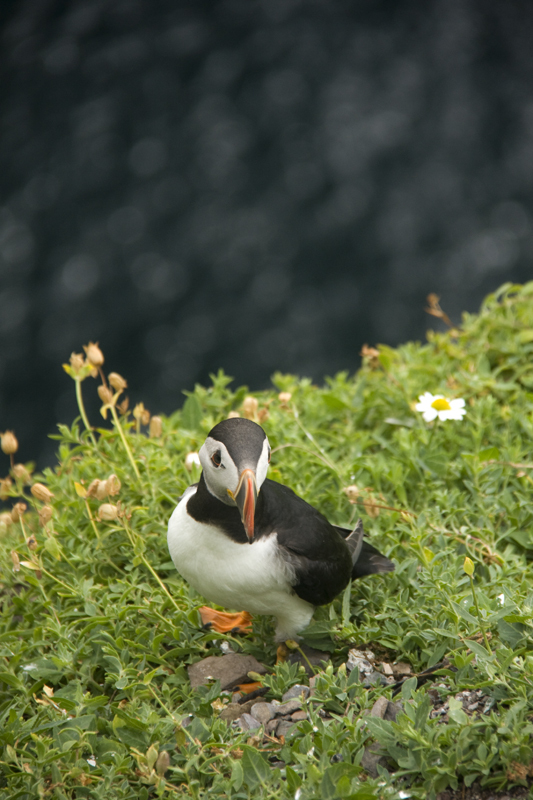 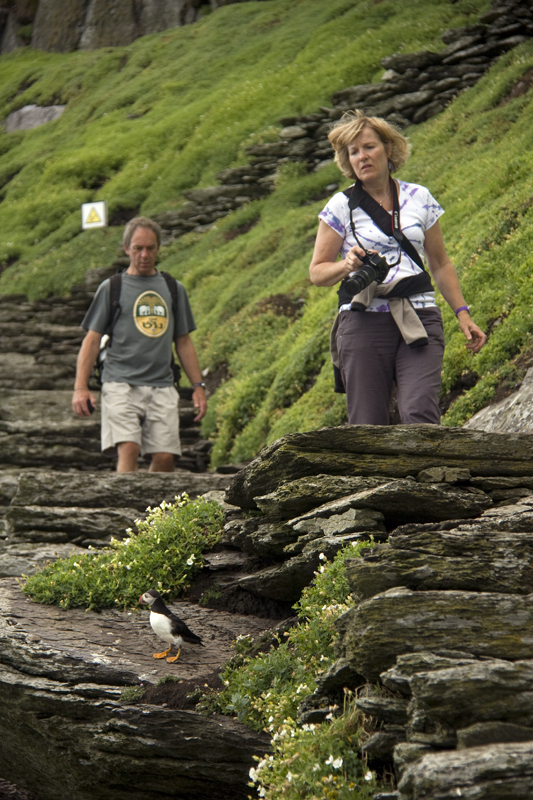 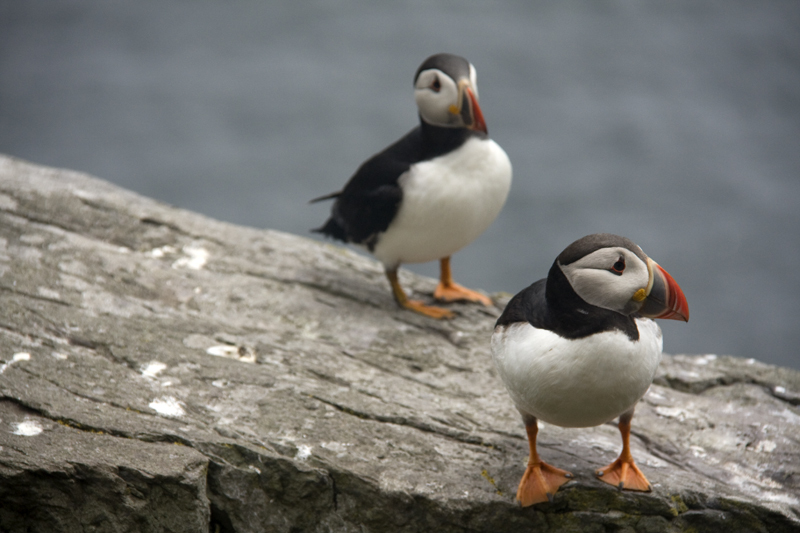 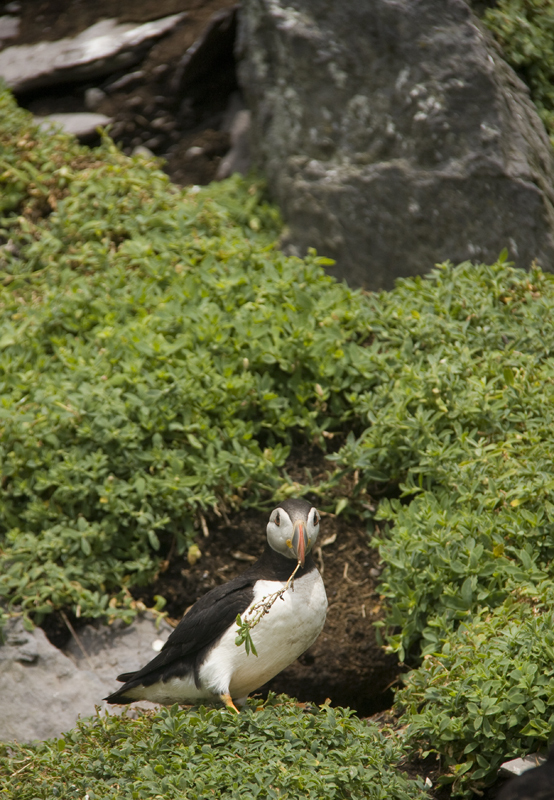 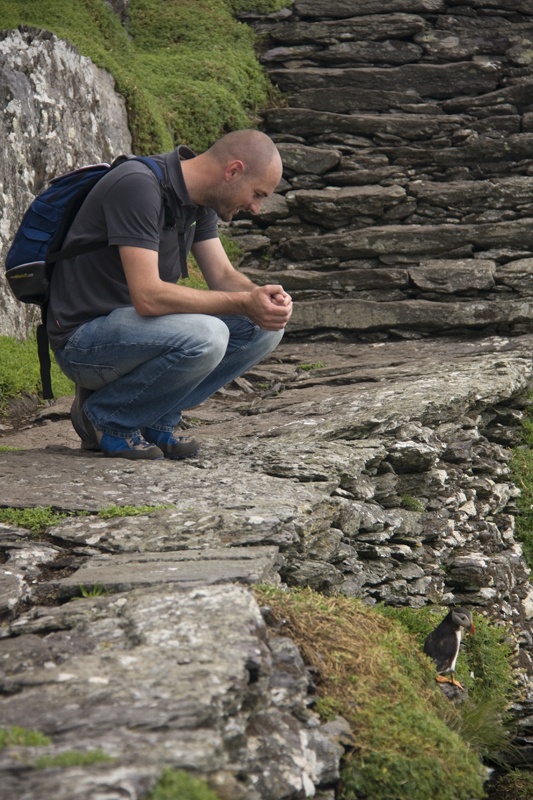 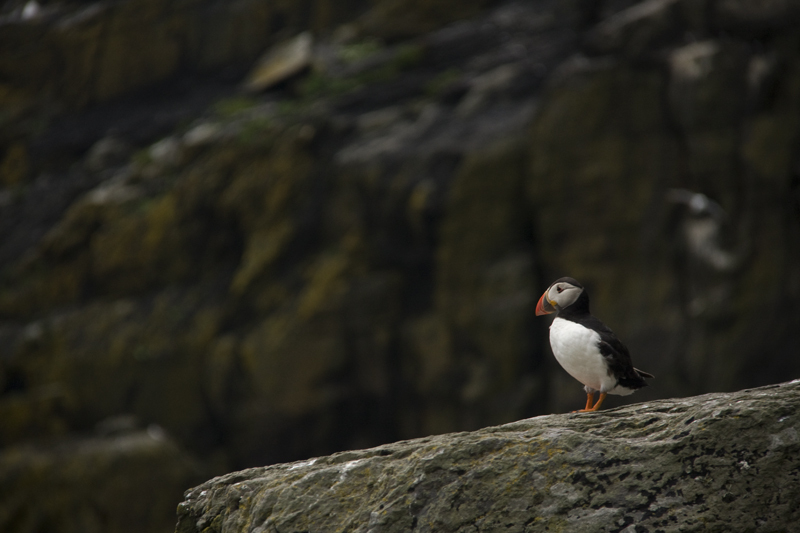 For part of the year Atlantic puffins migrate to Skellig Michael in April and stay until August. 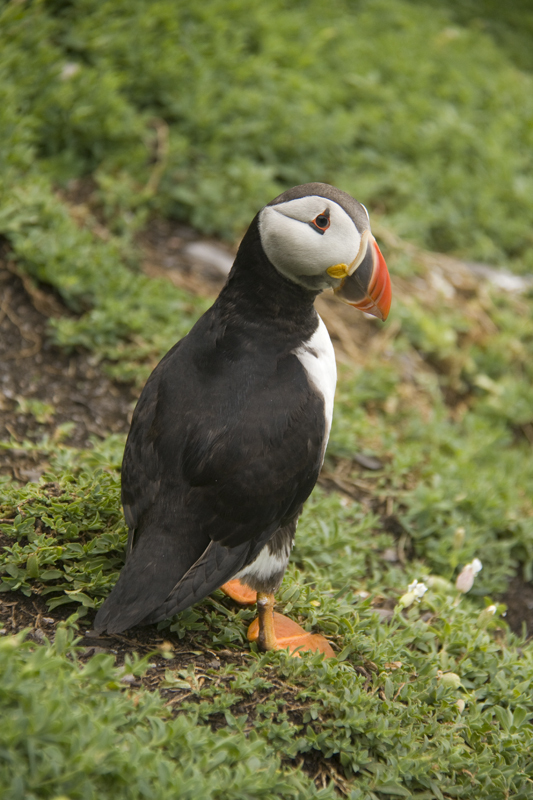 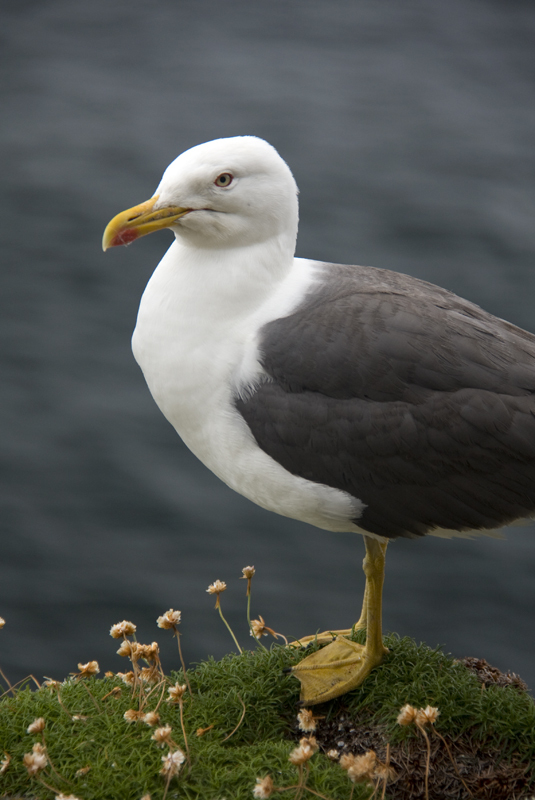 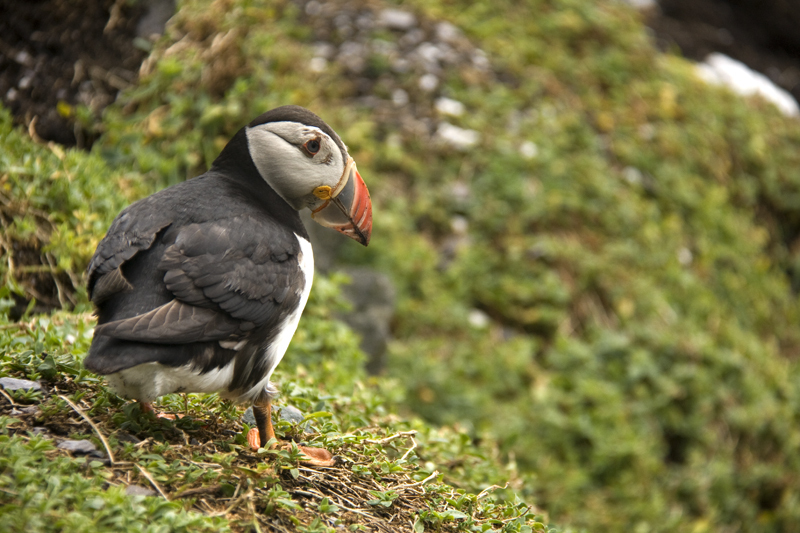 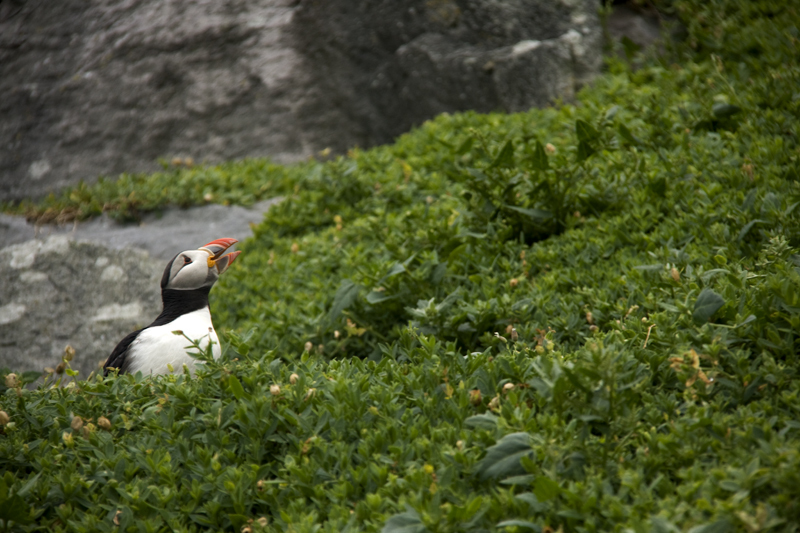 It was recently discovered that after the breeding season the puffins travel as far as Canada. 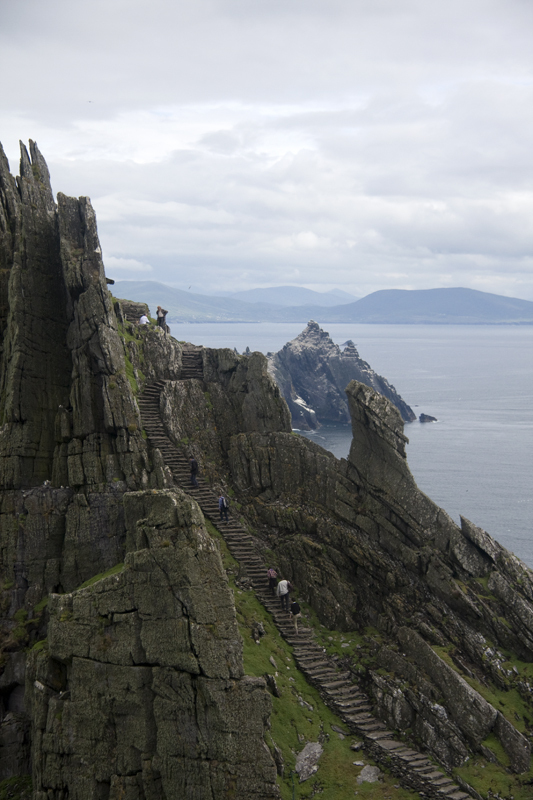 600 steps to the monestary. 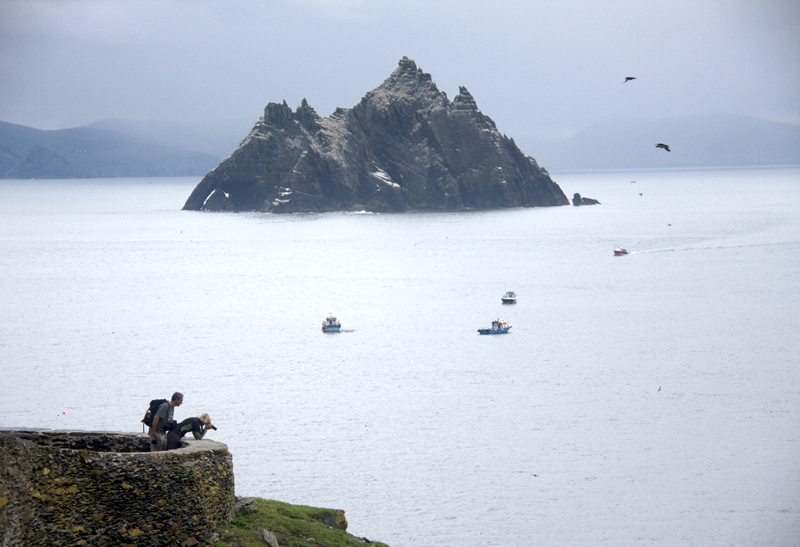 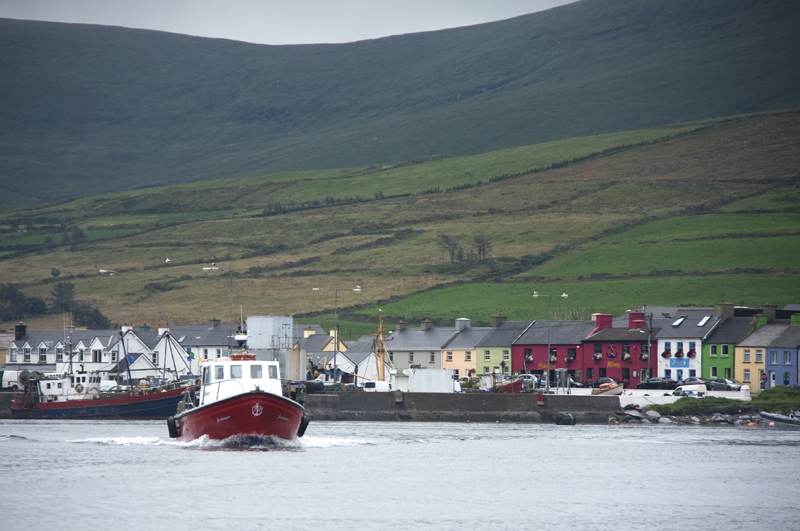 Small Skellig in the background.